Visual Infomedia offers a wide range of Creative and IT enabled services. 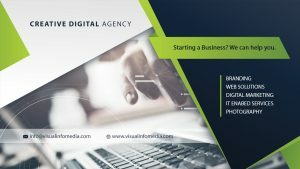 We are a full-service provider of creative solutions for enterprises which includes Branding, Logo Design, Graphic Design, Web Solutions, SEO, Digital Marketing and other IT enabled services. We are committed to deliver timely, accurate, seamless, reliable, cost effective and hassle-free offshore outsourcing services to our clients.